Google Chromebooks are becoming increasingly popular and this week I managed to get my hands on a HP Chromebook from Argos. With a 14 inch HD display, 16 gigabytes of SSD storage, 4 gigabytes of RAM and an Intel Celeron dual core processor this really is a fantastic bit of kit. 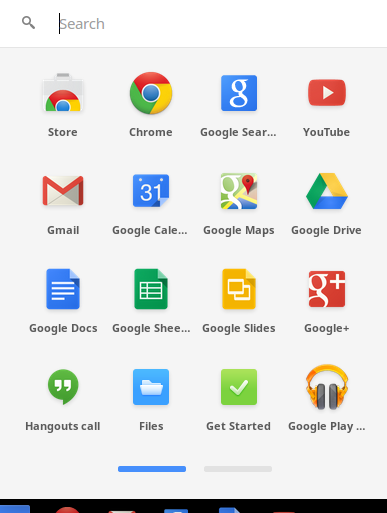 The device oozes class and the Google Chrome operating system is just amazingly stylish, simple and quick. 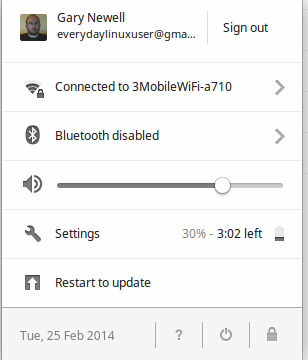 Chrome OS is excellent and really takes Linux up a level. Everything about Chrome OS looks and feels incredibly professional. The boot up time is virtually instant, the performance of the applications is stunning and the look and feel is crisp and clean. Setting up the Chromebook takes about 2 minutes. First of all you are asked to select your wireless network and enter the security key. 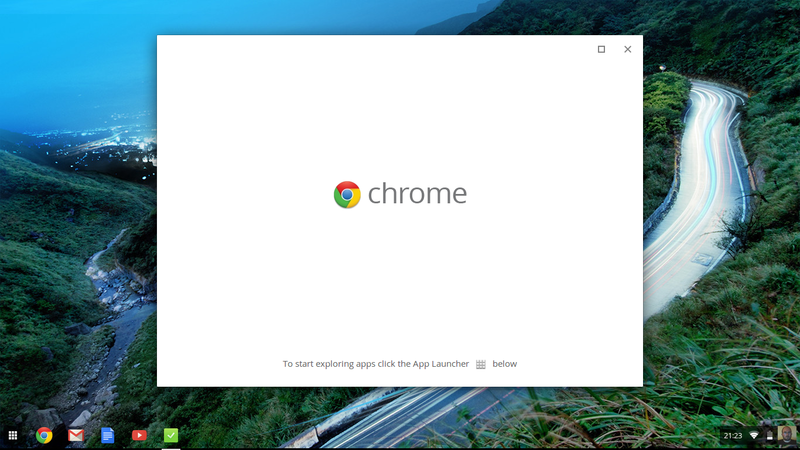 The second screen provides information about Chrome OS and the third screen asks you to log in with your Google credentials. The Chrome OS desktop is very simple and most users will be able to get to grips with it in no time as all. In the bottom left corner is the “app launcher”. (The icon that looks like the face of a Rubik’s cube. What do you mean you don’t know what a Rubik’s cube is?). Clicking anywhere in the bottom right corner brings up the settings screen. From the settings screen you can change the wireless connection, enable Bluetooth, adjust the volume, edit settings and if there are updates you can restart the Chromebook to install the updates. You can also sign out of Google. 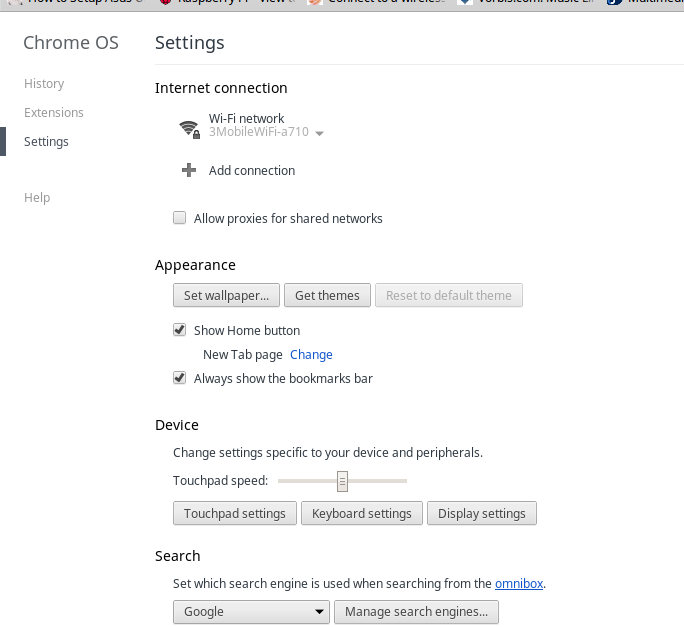 From the settings page you can choose to set the wallpaper, change themes, adjust the touchpad and choose the search engine. Clicking on the “App Launcher” brings up a list of applications currently installed. There are basically two tabs worth of applications installed by default. What you should notice is that all the applications listed are web applications and if you click them they open in the browser. Everything on a Chromebook is geared towards the internet or to use a buzz term, “The Cloud”. There are very few applications that work locally. You can edit documents using Google Docs whilst offline. If you access the “store” you will find a large list of applications to install such as Spotify. Anything you install however will be another web application that will open in a browser. Generally speaking the Chromebook is great for people who spend a lot of time on the internet. If you use your computer mainly for Facebook, Twitter, editing the odd document or writing a blog then the Chromebook is truly the device for you. No more Antivirus software, no more 10 minute boot times, no huge updates that are forced upon you. So now that I have sold the Chromebook to you what is the point of this article? Why bother installing Ubuntu? There are just some things in life that can’t be done on the web (or not easily anyway). Editing videos, creating fancy graphics and playing Minecraft are just a few instances. This guide shows you how to install Ubuntu in the Everyday Linux User way, which is to use the simplest method available. I don’t believe in compiling Kernels to get a trackpad working. That is something I have no interest in doing. I don’t want to partition the SSD if it isn’t required. Without further ado let’s get going. 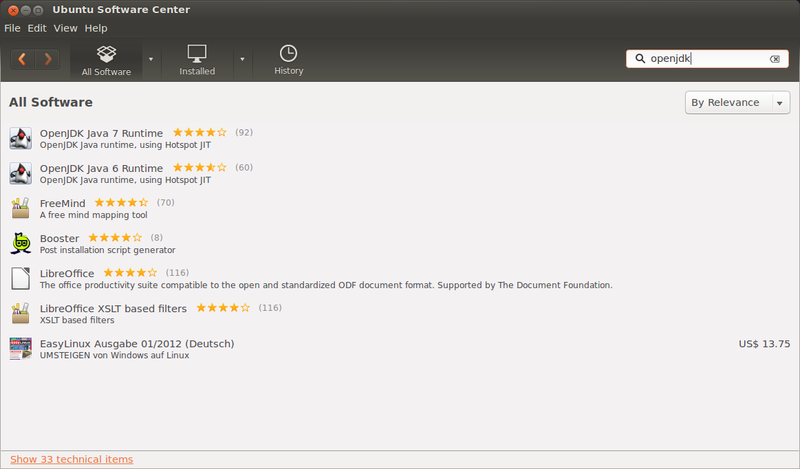 If all you want to do is install the latest LTS version of Ubuntu then there are three new guides to help you. The difference between the new guides and this one is that they just show you the steps required to backup Chrome, install Ubuntu and install Minecraft. There are no explanation to the switches used on the command line. The point of those articles is to get you to an installed version of Ubuntu as quickly as possible without confusing you with different options. The new guides also show some new techniques not explained in this article. For instance the Ubuntu installation guide shows how to install the Ubuntu Desktop package to get all the features you would expect and the Minecraft guide shows a new and easier method for installing Minecraft. One more great thing that I have noticed about the HP Chromebook is that it is fairly difficult to break. In the guide showing how to dual boot Windows 8 and Ubuntu I made it very clear that the first step was to back up Windows and create recovery media. With Windows 8 it is very hard to obtain recovery media if you haven’t created it yourself and it will probably cost you money. Fortunately Google aren’t quite so evil and they make it very easy to create recovery media even if you haven’t done it before destroying your machine. You would however need to get the recovery media by using another computer and if you don’t have another computer that is a big deal. I am assuming that if you are about to dual boot your Chromebook with Ubuntu that you haven’t got another machine available to you. If you do have another machine available I would recommend leaving the Chromebook as a Chromebook with just plain old Chrome OS and install Ubuntu on the other machine. I would still recommend creating recovery media before you start this process because it is not possible to do so on the Chromebook after you have installed Ubuntu because there is not enough residual space available to store the image and create the recovery drive. Trust me, do it now. All you need is a blank 4 gigabyte USB drive and a bit of patience. Note that there is no http. Copy the above text as it is and paste it into the address bar of Chrome. When you see the above screen insert the USB drive or if you prefer an SD card. The USB slots are on the left of the Chromebook and the SD card on the right towards the back of the machine. 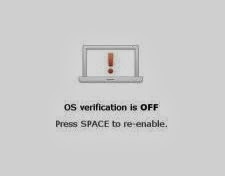 As soon as you enter an SD card or USB drive an “OK” button should appear to start creating the recovery image. The image will begin to download (and if you have a rubbish internet connection like me it can take an hour. At this point I decided it would be a good idea to spend time with the family. My 12 year old son took a beating at FIFA 14 on the XBOX 360). When the image has finished downloading it will be extracted and then copied to the SD card or USB drive. 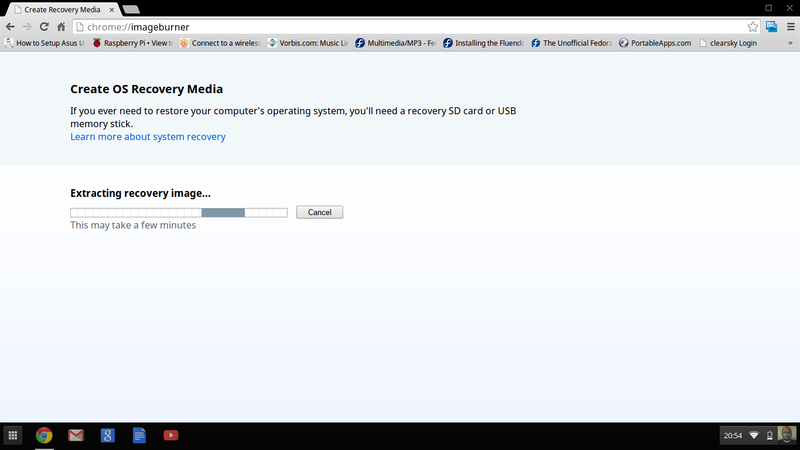 The recovery image is currently 1.4 gigabytes in size. This is largely the reason you should create the recovery media as soon as possible. As you fill up your SSD there will be less and less space available for that image to be extracted to before it is copied to the recovery media. When the process has finished you should see a success message as shown above. You can now remove the USB drive from the system. Put it somewhere safe and leave it there until you need it (which will hopefully be never). There are currently two methods used to install Ubuntu on a Chromebook. One method does the traditional partitioning of the main drive (SSD) and then gets you to boot from a USB drive and install into the blank partition. The other method is to use a script called Crouton which creates a chroot system within the base ChromeOS system. The method I am going to show you is the Crouton method as I believe this is the preferred option for the Everyday Linux User. The reason I think Crouton is the best method is that it is possible to easily switch between ChromeOS and Ubuntu with a simple key combination. In addition, the resources required to use the Chromebook will be made available to Ubuntu. The touchpad, audio settings and internet connection are all available without having any further setup. Trying to install Ubuntu using the first method (known as Chrubuntu) will require several extra scripts and hacks to be performed to get the trackpad working. There are several steps that are required to install Ubuntu using the Crouton method. Warning: This process will clear all the current settings on your Chromebook. If you have downloaded anything into the downloads folder, copy it off now. Before switching to developer mode bookmark this page in your browser as you will need to get back to this page to continue with the guide. (Press CTRL and D to bookmark the page). ESC + REFRESH + POWER BUTTON. (The escape button is in the top left corner, the refresh button is the 4th key on the top row and looks like a curly arrow. The power button is in the top right corner). The screen that appears looks a little bit scary. Press CTRL and D on the keyboard now and you will be warned that you are about to enter developer mode and that all warranties are void if you continue. From now on whenever you see this screen press CTRL and D. This boots your Chromebook into developer mode. When the Chromebook boots up you will be back at the point where you have to set up the internet connection and enter your Google user details. This step is much less stressful than the previous step. All you have to do is click this link to download Crouton. I am afraid that there is some command line stuff required to install Ubuntu on the Chromebook. Do not worry too much. It isn’t that tricky and it is fairly painless. By default the Crouton script installs Ubuntu 12.04 which is the current long term support release. It also defaults to the Unity desktop. Ubuntu (warty, hoary, breezy, dapper, edgy, feisty, gutsy, hardy, intrepid, jaunty, karmic, lucid, maverick, natty, oneiric, precise, quantal, raring, saucy, trusty). For support purposes only Debian wheezy, jessie and sid are supported and for Ubuntu only precise, quantal, raring and saucy are supported. Really the only ones you should be considering are Precise (if you prefer long term support), Saucy as it is the latest release and Trusty (if you want to try 14.04 out). As well as being able to determine the distribution you wish to install you can also decide on the desktop that you want to install. The two flags that we are most interested in are -r and -t. The -r flag lets you choose the release (distribution to install). The -t flag lets you choose what is installed to the target system. If you fail to specify the -r flag then the default distribution will be installed and that is Precise. 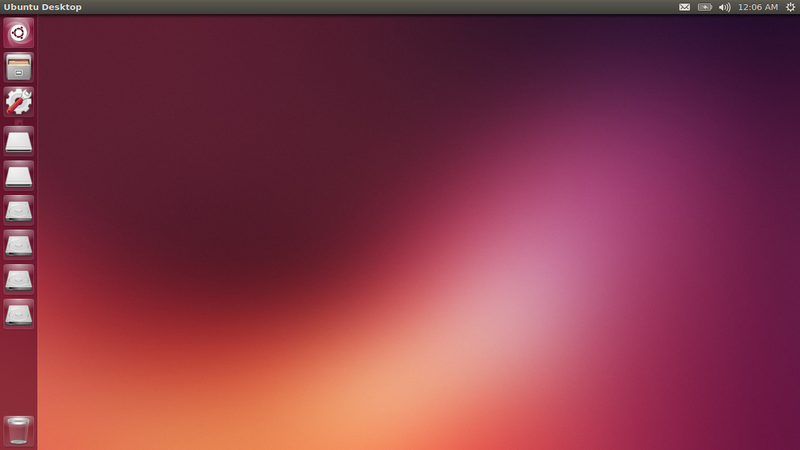 (Ubuntu 12.04). If you fail to specify the -t flag then the Unity desktop will be installed. Incidentally the -e flag encrypts the system to make it a little bit more secure. By choosing saucy you will get the latest Ubuntu release (13.10). Now is a good time to go and spend time with the family, beat them at FIFA 14 on the XBOX and if necessary take a comfort break. The process takes around 30 minutes. When the script is near the end you will be asked to create a user. Enter the name of a user and then enter a password. Ubuntu will now be loaded. The version of Ubuntu that is installed isn’t the same as the version of Ubuntu that is installed from the ISO from the Ubuntu website. You will have a very bare bones system with just the minimum of applications. First things first. If you click on the files icon on the launch bar you will see that there is a downloads folder under your username. This is the same downloads folder that is used by ChromeOS. You can therefore share files easily between ChromeOS and Ubuntu by placing files in the downloads folder. So what applications do you need? In theory that is entirely up to you. I don’t recommend installing another browser. You can switch to ChromeOS at any time by pressing CTRL + ALT and the LEFT arrow next to the escape button. You can switch back to Ubuntu by pressing CTRL + ALT and the RIGHT button and then CTRL + ALT and REFRESH (the curly arrow next to the right arrow). I don’t think you need to install another browser. Getting to the Chrome browser in ChromeOS is just a key combination away. If you need to download files from the internet use the Chrome browser and download files to the Downloads folder which can easily be accessed using Ubuntu. The first program that I recommend is Synaptic. This gives you a graphical application installer. To install Synaptic switch to Ubuntu by pressing CTRL + ALT + RIGHT and then CTRL + ALT + REFRESH. 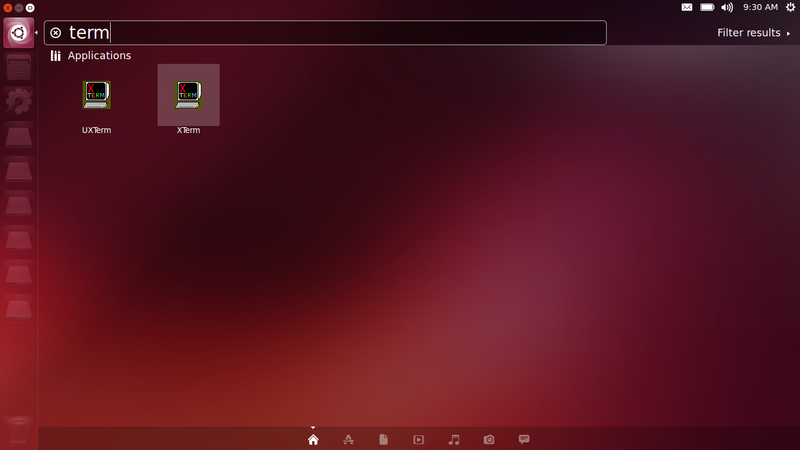 When you are in Ubuntu click on the button in the top left corner of the launcher and when the Dash appears start typing “TERM”. Synaptic is fairly easy to use and provides a good visual representation of the software repositories. To find a piece of software click on the search button and start typing either the name or the type of software you require. When you have found the software you require click on the checkbox next to the software title. This marks the software for installation. To install the software click “Apply”. 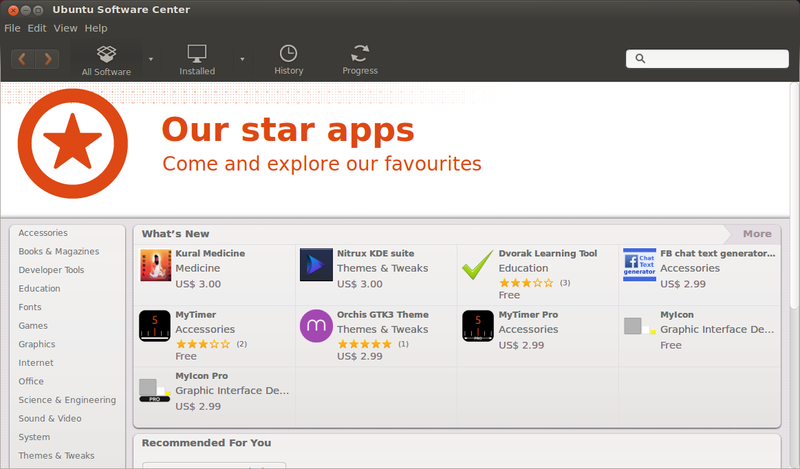 If you have used Ubuntu before then you will probably be more familiar with the Ubuntu Software Centre. This isn’t installed by default. To install the software centre open Synaptic and search for “Software Center”. You will need to scroll down to find the software centre. Check the box next to “Software Center”. Note that this will mark other dependant applications as well. Click on “Apply” to install the “Software Centre”. Now that you have Synaptic and the Software Centre installed you can now install any other application you desire. Now you might wonder why I am making a specific point about Minecraft. My son is a huge Minecraft fan. The thought occurs that if you want to install Ubuntu on a Chromebook then you probably haven’t got access to another computer. If you have access to another computer then I would leave the Chromebook to be a Chromebook. If you don’t have access to another computer then it may be that you received the Chromebook as a gift or you are a young person who received it from your parents to do school work on. All your friends are playing Minecraft on their laptops and you want to play Minecraft as well. 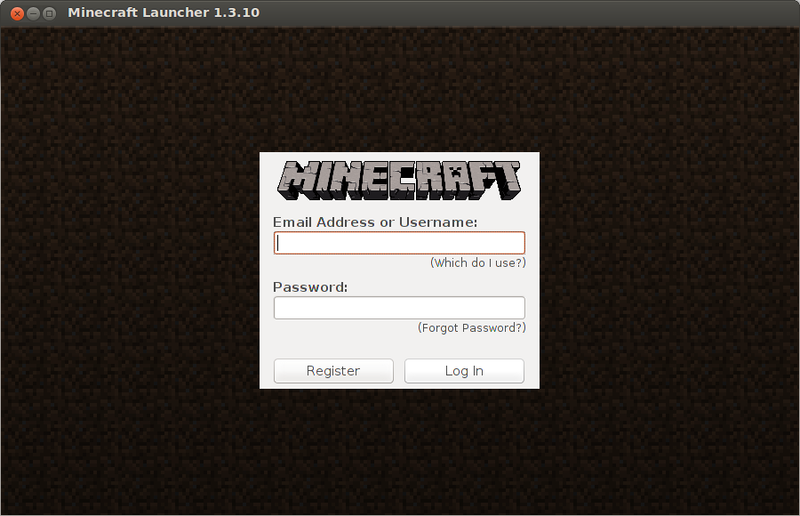 I have already written a guide showing how to install Minecraft within Ubuntu. The process is ever so slightly different on the Chromebook so I will show you the steps here. 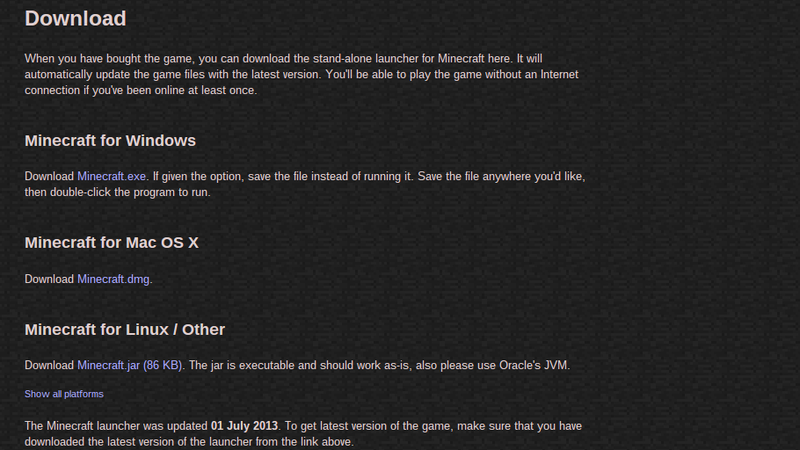 There are three basic steps for installing Minecraft. Click on “OpenJDK Java 7 Runtime” and then click “Install”. Using the Chrome browser within ChromeOS click on this link to download the Minecraft Launcher. Scroll down to the Minecraft for Linux / Other and click on the Minecraft.jar link. The file will be downloaded to your downloads folder which is accessible by ChromeOS and Ubuntu. Switch back to Ubuntu (CTRL + ALT + RIGHT ARROW and CTRL + ALT + REFRESH). Open up the file manager (2nd icon on the launcher). Navigate to the download folder and find the Minecraft.jar file. Right click on the file and choose properties. Click on the “Permissions” tab. Check the “Allow executing file as program” box. Click “Close”. To run Minecraft double click on the Minecraft.jar file. You will now be able to boot other live Linux operating systems. This actually works very well when using something like SLAX. You can also boot using the Android x86 live image. To boot from a USB drive when you first boot instead of pressing CTRL and D to enter developer mode press CTRL and L.
Note though that trying to run an installed version of Android on a USB drive provides many problems. The live version works well but doesn’t store any changes. The experience you get from the installed Ubuntu isn’t as good as the experience of Ubuntu on a normal computer. There are many challenges. For instance, the software centre for Saucy only seems to run when you start it as sudo. Virtual box requires an upgrade to the kernel which involves a lot of extra steps. Personally my recommendation is as follows. If you have another computer available to you then install Linux on that computer and leave the Chromebook to run ChromeOS. ChromeOS is perfect for what it is created for and the HP Chromebook is perfect for running ChromeOS. Everything else feels like a hack. Now switch to Ubuntu by clicking CTRL + ALT + RIGHT and then CTRL + ALT + REFRESH. Open up the file manager and navigate to the download folder. 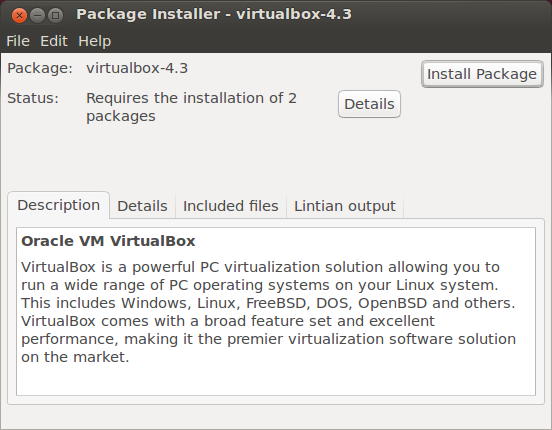 Right click on the downloaded VirtualBox package and open with GDEBI package installer. The above window will appear. Click “Install Package”. Gary – I like your style; your articles are easy to read and informative. Thank you for effectively explaining how Linux is so useful. Would Chromebook 14 lag when playing Minecraft? its slightly better than macbook air 11 2010. Thanks fot your guide! But I encountered a problem. When you try to install anything from the software center, you might get an error message stating, "You are not allowed to perform this action." There seems to be a policykit authorization problem with crouton (sometimes?). (chromebook hp 14) Can i fix it? I installed Ubuntu using Crouton and it was acceptable, and convience to switch between ChromeOS and Ubuntu with a key click. There are a lot of quirks though as mentioned above, it's slower, and just felt gimped. I wasn't pleased. I decided to dual boot Ubuntu using Chrubuntu. It took a wee bit longer, but was fairly straight forward and I'm much happier with the experience. It boots fast, so switching between the two OS's is quick if you need to. Ubuntu is much quicker now, everything works as you would expect, and I hear Minecraft runs much better. Ok thanks Justin. I will look into this. My issue with the chrubuntu is the hoops that you have to jump through to get thinks like the touchpad working. and this is wrong on all of the commands you have here i think. correct me if im wrong but if im right then maybe you could change this. I think you might be right. Thanks for letting me know. I will test it out again and change accordingly. When I press CTRL and D it doesn't work. Any suggestions on what to do? Are you sure? Which model of Chromebook are you using? I type in 'sudo sh -e ~/Downloads/croutons -r saucy -t unity -e' then I press enter. The system says 'sh: can't open /home/chronos/user/Downloads/croutons' Then when I try to open croutons by just double clicking it in files it says chrome cannot open it because it is not supported and to try to get an app that will support it… do you know an app that I can use to open croutons that supports it?? Please help. Thank you for all the help! It is clear you have spent a lot of work on this tutorial and i greatly appreciate it! Is TF2, Psychonauts, Garry's Mod, and Super Meat Boy all playable on the Chromebook? Please reply. In theory if you have installed Ubuntu and the games run on Linux then yes. I haven't personally tried any of them though. OK, thanks! I was just wondering since I just got an Acer Chromebook and I have Linux installed on it. And I found out that they all run perfectly on my Acer! hey how did you run garys mod on it and i want to play league on this is it possible? How would I go about installing kali using this method? Hey Gary! So I installed saucy/unity by following the steps, however when I clicked ctrl+alt with right arrow it brings me to the "Developer Console" screen. From here when I click ctrl+alt+refresh button, nothing happens. Any suggestions? which chromebook are you using? Well after rebooting my pc (hp 14) after the battery died, Happened to me too. Hello, I followed your guide nicely, however I'm stuck. Where do I get app centre? I'm confused on that. Hey Gary! So I installed trusty/xfce by following the steps, however when I clicked ctrl+alt with right arrow it brings me to the "Developer Console" screen. From here when I click ctrl+alt+refresh button, nothing happens. Any suggestions? Computer model I use is HP Chromebook 14. I will give this a go because that is two people that has reported that now, one on Saucy and one on Trusty. Maybe there is an issue with the Crouton script. I will look into it. Open crosh (The terminal) And type sudo startunity. Might have to do shell first. You are missing the sh out. Password should be user by default. Thanks for this great article. I've used it this morning on my Chromebook, and worked like a charm. I have a very short remark. You sometimes write "sudo -e sh", this should be "sudo sh -e". Finally, I would also add a small section to explain if/how you should start Ubuntu after a restart of your Chromebook. I have changed the sudo -e sh thing. thanks for pointing that out. I will add the other part of your suggestion later on when I have more itme. Hi Josh. The XFCE file manager may not have a specific box for setting the executable bit. If it says something like Minecraft.jar doesn't exist navigate to the folder where your Minecraft.jar file is. can u plz tell me a way to install zorin os on hp chromebook 14 plzzzzzzzzzzzzzzzzzz???????? Guys, I found out how to fix the restart and no ubuntu error 😀 Credit to rockydbull from googledocs, googled the problem and the question there was answered 😀 I'll paste is exact words. Is there a way to change the interface from Unity to something different without having to do a full re-install? Does this work for the acer c720p chromebook as well? I would really like to know because I'm going to buy the acer c720p or the hp chromebook 14.
type "chronos" then "sudo startunity" or whatever linux you went with. when i type the command code in it keeps asking for a password, what should I do? Can you tell me why the Oracle version is better than the open one? Does the game play better? What if I want to just wipe the OS and run ubuntu on the book? How do I get passed SeaBios? It seems unable to recognise an OS aside from Chromeos…. Everything is working great after installation, with the exception of the touch feature on my touch pad. I am able to scroll just fine, but I am not able to just tap the pad to "click" or make any selections. Because of this, I am also unable to right click. I have the HP Chromebook and I installed the basic Unity because I wanted to be able to download Skype. Any suggestions please? I have installed everything (saucy) plus package center (works) plus Software-Center. However when starting software center via " gksu software-center " I get the message " failed to load module canberra-gtk-module"
Thank you Gary that worked! 1) my issue with Software-Center still exists (will also look further to try to resolve). 2) in the command for installing UBUNTU I wonder what the two times '-e' stand for, one is in the beginning (after 'sh') and the other one at the end. When leaving the one at the end as you sometimes do, the encryption did not happen, so guess that one is for the encryption, but then wonder what the first one is for? "sudo sh -e ~/Downloads/crouton -r saucy -t cinnamon"
"target cinnamon not valid"? Any idea how to correct? Am also curious whether you can change desktops after installation without re-installing everything (like also asked below).. Many thanks for the manual here, lots of people use it! Great work! Hi, I think what I need to do is write a follow up article as there are lots of questions about the software centre and switching desktops etc. If you can bare with me a little while whilst I research this stuff I will get back to you shortly. 1. I need to investigate this. Do you have the canberra-gtk error? 2. For the -e question refer to this manpage http://unixhelp.ed.ac.uk/CGI/man-cgi?sh and look for command parameters. 3. I don't think cinnamon is part of Ubuntu yet. You can still install other desktops such as xfce, kde etc after installing crouton but you have to use the package manager. (apt-get, synaptic or if you can get it working the software centre). AST: Hi Gary, thanks for your reply! ad1) Yes. The error occurs when trying to run SoftwareCenter. I have installed software center exactly as you have described it, however when typing GKSU SOFTWARE-CENTER I get the error FAILED TO DOWNLOAD MODULE ¨CANBERRA-GTK-MODULE¨. ad2) Thanks, will have a look at that. new 4) I have now installed ubuntu and minecraft three times as I have an issue when I have to restart the chromebook, eg after the battery is empty and it has been shutdown. When restarting, the screen appears where you have to connect to the internet connection and enter your google user details. After doing this the download folder is empty and cannot switch to ubuntu anymore so I guess everything is wiped. I seached on google what we are doing wrong but sofar could not find it….any suggestion? HI. I cannot get past where it says to "click this link to download crouton". I am on an acer google chromebook. ctrl alt –> and ctrl alt <—. If you restarted you chromebook i think you need to open the shell again. ctrl alt t does that. then just type in "shell" and "sudo startunity" or xfce4 or whatever you installed. Just wanted to let everyone know, that after I powered off my Chromebook, when it came back on my track pad was working just fine for both scrolling and clicking on both desktops. So if anyone else reports this problem, all you have to do is tell them to reboot! I have one more question. I downloaded the basic Unity without a release thinking that it might be the best option. Afterwards, I regretted that and I really wanted to try and upgrade to the saucy release, but I was having trouble finding information on how to do that (after already installing 12.04). I did an upgrade, and then the whole version of Linux stopped working 🙁 I was not able to fix. Today I put my Chromebook back to the Chrome OS to wipe everything. Now it is back in developer mode and redownloading while I am at work today. Do you think this will fix the problem? This time I tried to install as directed from the beginning: sudo sh -e ~/Downloads/crouton -r saucy -t unity -e. Any input would really help, and if I need to uninstall anything, could someone please tell me how? "No space left on device" error? Start with 1.4 bytes and unable to download, using HP Chromebook 14 any suggestions? If you used crouton I don't think it takes up any of the SSD space. 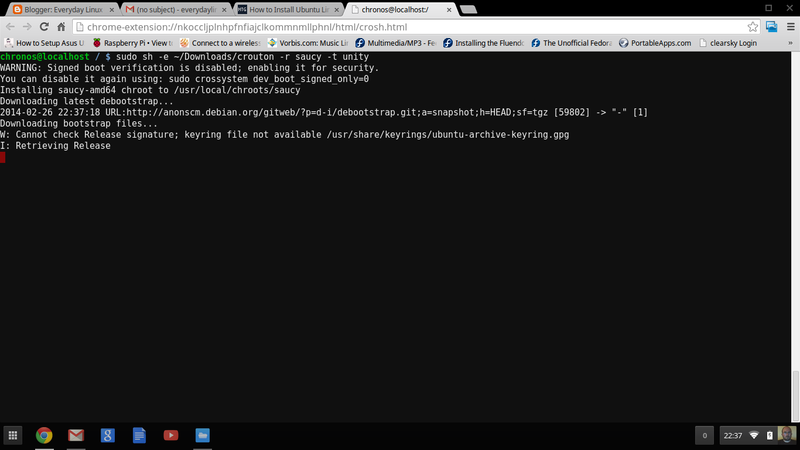 If you used the chrubuntu method it is because you partitioned your drive and didn't leave enough room for chrome OS. the only way to get that space back is to do an image recovery. You need to use a windows or mac and make a recovery image on a usb drive. Power wash will not get your space back. I ran into this problem myself then just used crouton to run unbuntu. Delete a looooooot of stuff. 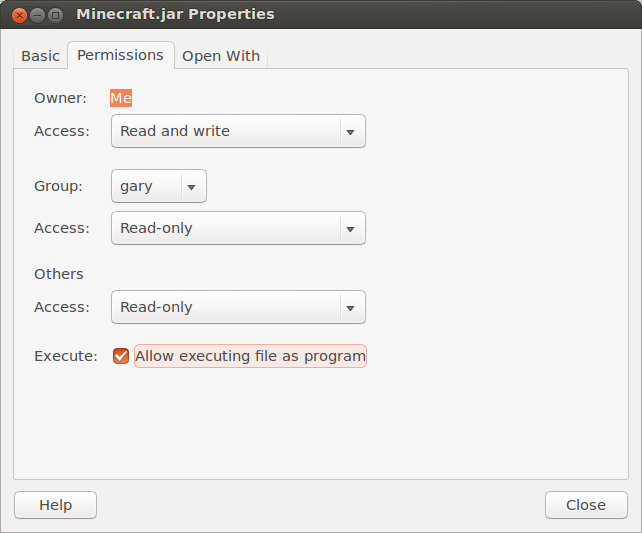 So I Cant Change The Minecraft.jar File To Run As An Executable Program. I Am Using Xfce4 interface. Big thankyou to Matt Keenan for helping people out. Its asking password after doing the following process. i tried USER as a password, but it didn't work. Welcome to crosh, the Chrome OS developer shell. If you got here by mistake, don't panic! Just close this tab and carry on. My daughter if the only user and her password or the word 'user' do not work. I have to press enter before I can even enter the password and it cuts me off quickly. Maybe I am missing a step? I have been trying all day to fix this and I just can't. I get from one desktop to the other. I can get to CTRL+ALT+left arrow, but when I add the refresh button, it won't allow me to get onto the other desktop. I have put in my password and it will not work. I keep thinking I am getting the password wrong but I doubt it. I got the other desktop to work at 1:00 am and then after following every step until there were no more, I shut my laptop to fall asleep. i wake up this morning and it won't work. Is there anything I did wrong? To start using Ubuntu you must type in enter-chroot right? I followed your fantastic guide and after a couple of attempts, I succeeded – thanks a lot! Then my Acer C720 ran out of power (my son was playing minecraft and lost in that world….) and when we got it back up running, we can't get back to Ubuntu. We get stuck in the Developer Console and nothing happens when we use CTRL ALT REFRESH. I tried the command "sudo startunity" but then it requires a password, which I can't figure out. Anybody who has a similar problem – and the solution? I will need to go and check what and how the sudo password gets set up. I just happen to know mine. I will do it over the weekend and get back to you. Have you tried the password you use to log into your chromebook for your user and have you tried no password at all? Many THANKS for including Chromebook connectivity in your blog! I have an HP 14-q063cl using the intel celeron proc, and I have questions regarding linux recommendations to support all the chromebook features. After typing 'Shell' then 'enter' and then 'sudo sh -e ~/Downloads/crouton -r saucy -t unity -e' and 'enter' then i get a message requesting me for password, can you help? I cant switch desktops. When I press ctrl – alt – right arrow near the esc button, then press ctrl alt refresh i get a back screen. Maybe this is because im using Chromebook 11? Is there any reason you can think of that this whole process *wouldn't* work for the upcoming Acer chromebooks based on the nvidia Tegra chipset? Brilliant writeup though. many thanks for taking the time to make it. When I get to the recovery screen and press Ctrl + D, nothing happens. It just stays at the recovery screen. Also, I downloaded crouton from the above link, but when I try to run it, I get an error message saying that it is not compatible with chrome. What do I do now? Thanks Garry, a very useful and concise article. When I get to the recovery screen and press Ctrl + D, nothing happens,and never boot in developer mode.it just reboot for the normal chrome boot screen and ask for new configurations, what's the problem you think? is it possible to run any windows version "xp-7-8-8.1"
beside the chrome OS..if it's possible could you tell me how to do!!!? I have found that my dell chromebook 11 runs minecraft much better than my desktop computer. The hardware on these chromebooks is actually great. but no result appears all give errors "invalid parameter name dev_boot_sdb"
whats the problem with my chromebook any suggestions?? Hi I was wondering if there is any way of using minecraft in chromebook screen rather than having to cross over to ubuntu each time I want to play minecraft. I have downloaded everything according to your instructions which was great. I want my 8 year old to use the chromebase to play minecraft but I do not want him to have to go in to developer mode and into ubuntu each time to play minecraft. Any ideas? hello, installed everything and it appeared to install. However, when I try to use the ctrl-alt- left arrow, it doesn't switch into ubuntu. I had to do a terminal command to get it started. Once started, it still won't switch back and forth between chromeos and ubuntu. May I offer some suggestions which I found helpful? 2. Download Crouton Integration from the Chrome store. This allows Ubuntu to be placed in a tabbed window on the Chrome desktop. Switching between the two systems is done by simply clicking on an icon on the task bar. Java HotSpot(TM) Client VM warning: You have loaded library /home/brodie/.minecraft/versions/1.8.1/1.8.1-natives-7251460222853/liblwjgl64.so which might have disabled stack guard. The VM will try to fix the stack guard now. Are you playing the official game or a mod? Same error. HP Chromebook 14, fresh download of .jar file, followed all instructions above to install Unity and JDK. No mods, resource packs or anything else. Just got Chromebook from HP today and this is all I've done. I believe this chromebook (HP Chromebook 14) is ARM (not Intel) and the liblwjgl library that Minecraft uses (on java side) is compiled only for intel chips. Even if you find a version that is compiled for ARM, I don't think crouton has (of today) full GPU support for any of the gpu chips that work with arm (for lack of a better explanation from me). Unfortunately Jenny there is no Minecraft app at present for the Chromebook. The only way to get it to work is to follow a guide such as this one. Failed to complete chroot setup." Failed to complete chroot setup. 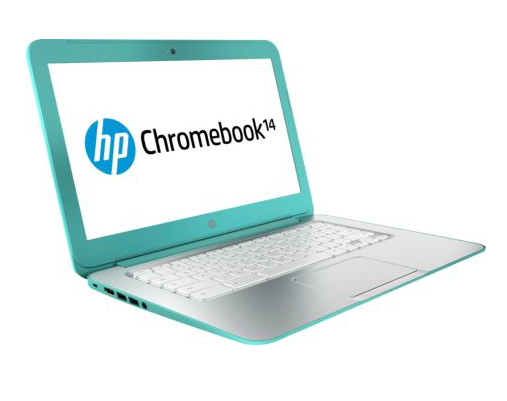 Are you using an HP Chromebook? 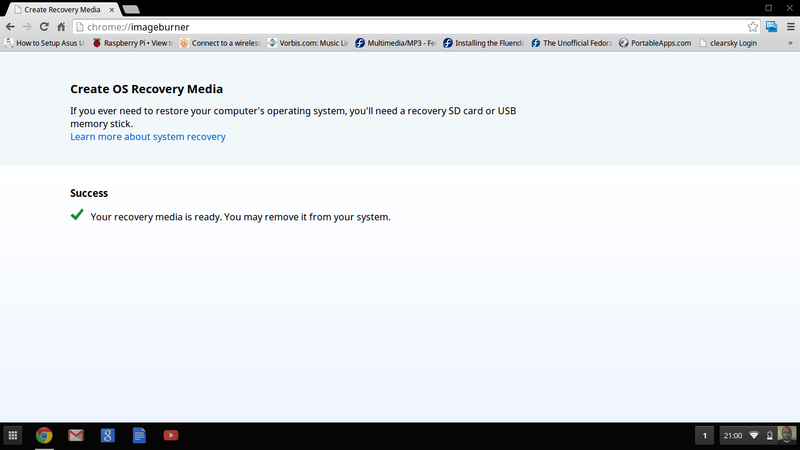 Yes, I am using and HP Chromebook 14.
so does that mean i have to put sudo startunity-e or… plsss help. I am going to revisit this article in the next week or two as time seems to have taken its toll on this one a little bit. This is going to sound dense but… how do you start Ubuntu once it is installed? 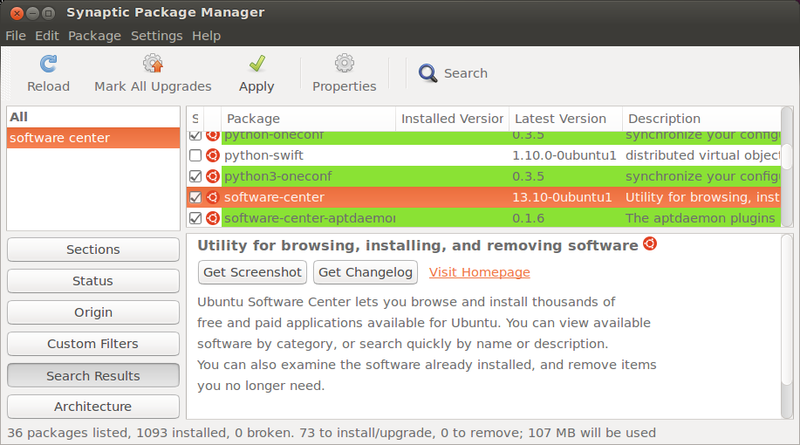 I followed the instructions and installed according to this page, so Ubuntu is installed. But, how do I start it? I have tried going to Terminal screen, but typing things like 'shell', 'sudo', and it returns Unknown Command. I will keep rooting around for How to run it, but…. help? Hi Lukas, try the new guide (http://www.everydaylinuxuser.com/2015/02/how-to-install-ubuntu-on-hp-chromebook.html). It shouldn't freeze your chromebook though. Which make and model are you using? i tried to do this on my hp chromebook 14 and it doesn't recognize the command 'shell' I am getting super frustrated because I followed every step to a T is this just not possible and i'm dealing with a giant expensive google drive paperweight? I put in the command but it said i need a password, i don't know what to do next, can you help me? If the enter or space bar is hit on the first screen is there an easy fix to get minecraft running again? when I put "sudo sh -e ~/Dowloads/crouton -r saucy -t unity -e" I get this: "Can't open /home/chronos/user/Dowloads/crouton"
When I put "sudo sh -e ~/Dowloads/crouton -r saucy -t unity -e" It said "Can't open /home/chronos/user/Dowloads/crouton"
will this work for the 32gb touchscreen version of the hp chromebook 14? Im trying to install saucy/unity but it comes up with unity target does not work in xephyr in saucy due t missing EGL support Invalid target: unity. I believe there are missing files. Please help. Hi, I will need to try this out I am afraid. The crouton script changes over time because Ubuntu changes. For instance saucy should probably now be called trusty or vivid. The command you have entered should be sudo sh -e not sudo she -e this might be why you are having an issue. so should i replace "saucy" with "trusty" or "vivid"? im having the same problem and so should i replace saucy with trusty or vivid? When I try to open Crouton it says "this file type is not supported" any help on how I can open the file? I followed your guide and everything worked to plan, but when I got to the part when I had to go. Into the properties of the minecraft.jar file there was nothing to check off and now when I click open with Java runtime nothing happens. Please help! I got a message saying, "Can't open /home/chronos/user/Downloads/crouton". What do I do? hi man , i have a problem when i press "shell" say (error: unknow command:shell) please heeelp me!!! !